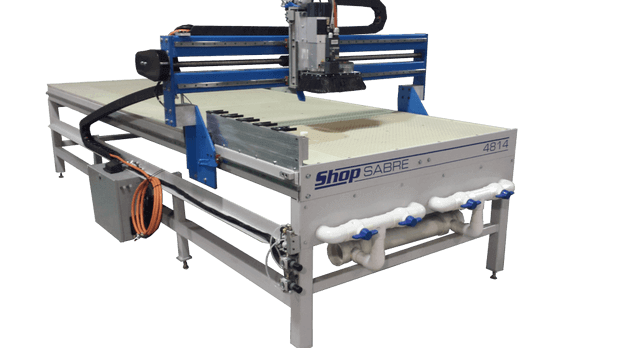 Cutting Board Company owns a state-of-the-art CNC machine allowing us to do much more than just square and rectangle cutting boards. If you can dream it, we can probably make it! Whether it's waste holes for a cutting board in a commercial kitchen, a juice groove to catch drippings from carving meat, or a board that fits perfectly inside your kitchen sink, Cutting Board Company has got you covered. Also referred to as juice troughs, juice grooves are one of our most requested customizations. We simply route a small trough around the perimeter of your board to catch drippings from carving meat. This prevents run off from spilling onto your counter tops and making a mess. Standard Juice grooves are 1/2" thick and cut 1" off the edge of your cutting board. 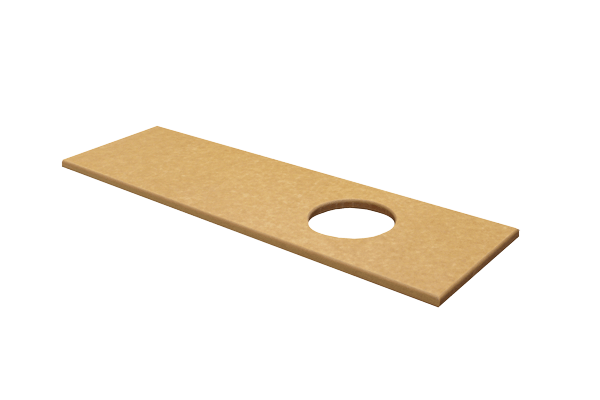 We charge $8.00 to add a juice groove to any standard size board and $15.00 for custom sizes. 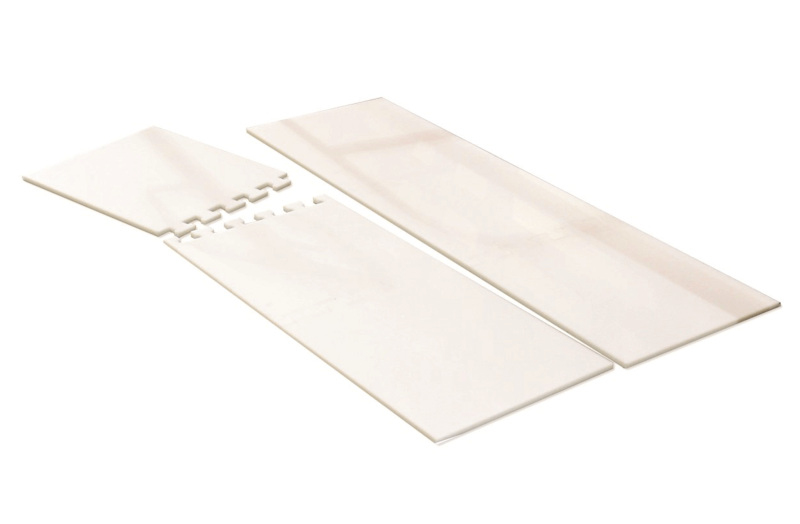 Commonly found in restaurant and commercial kitchens, boards with waste holes provide a quick and easy way to dispose of trash or inedible food. These types of boards are usually found in front of the grill or other areas where food is prepared. Some boards even have multiple holes for added convenience. Hole size and placement is completely up to you! Another commonality in restaurant kitchens, puzzle cuts provide a convenient way for larger size boards to fit in a commercial dishwasher. 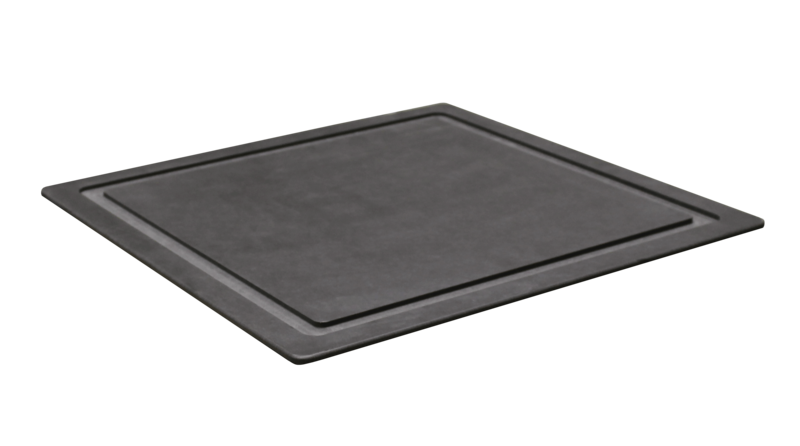 The snug fit at the puzzle grooves ensures your board will not shift around while food is being prepared. When it's time for clean up, all you have to do is take apart the puzzle. For smaller dishwashers we can do multiple puzzle cuts on one board to ensure a pefect fit. This is where it gets fun. We can make cutting boards to pretty much any shape imaginable. 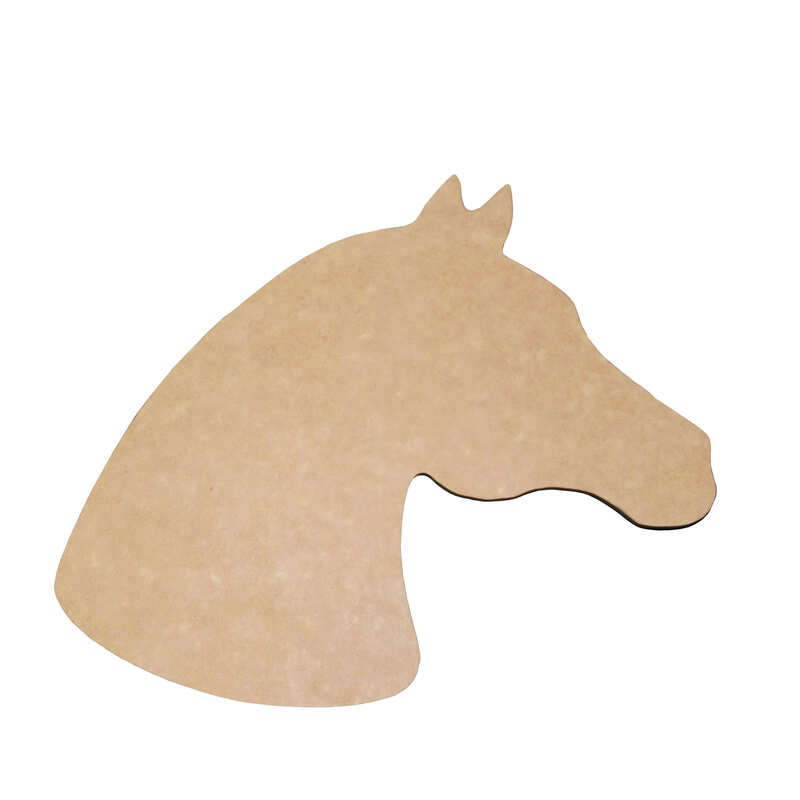 We never imagined that we would be making horse head shaped cutting boards, but when a customer came to us with her idea we jumped on it. We can also do state shapes, serving trays, and handles. No project is too big or small, give us a call for a quote today! If you can think it, we can make it! Please let us know exactly what you need, material, and outer dimensions so we can get you a quote.